Central is a folding table which has been designed by Ronan & Erwan Bouroullec for Magis in the year 2010. 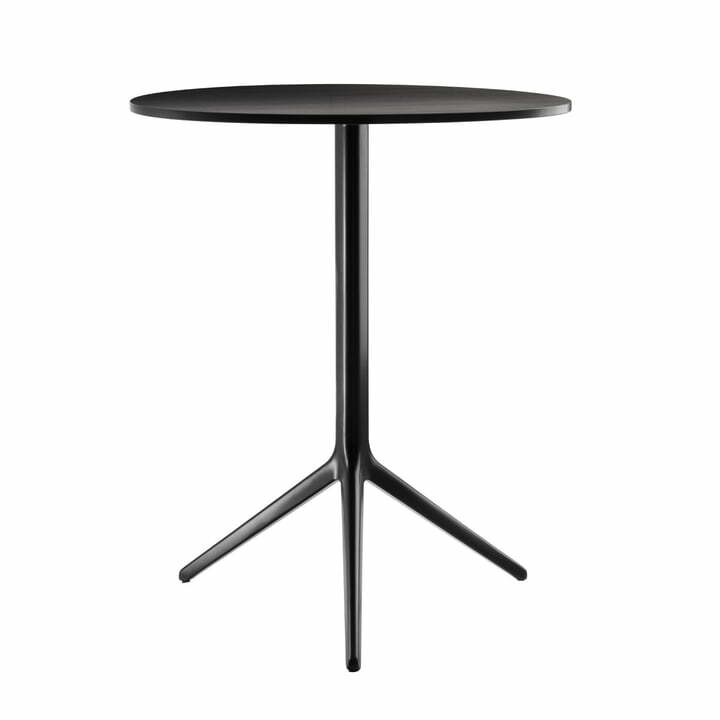 With a height of 72 centimeters, Central is positioned between side table and standing table becoming a classic bistro table for indoor and outdoor use. The three-foot frame breaks with the otherwise simple forms of the table and becomes an unusual detail that offers excitement to the design. 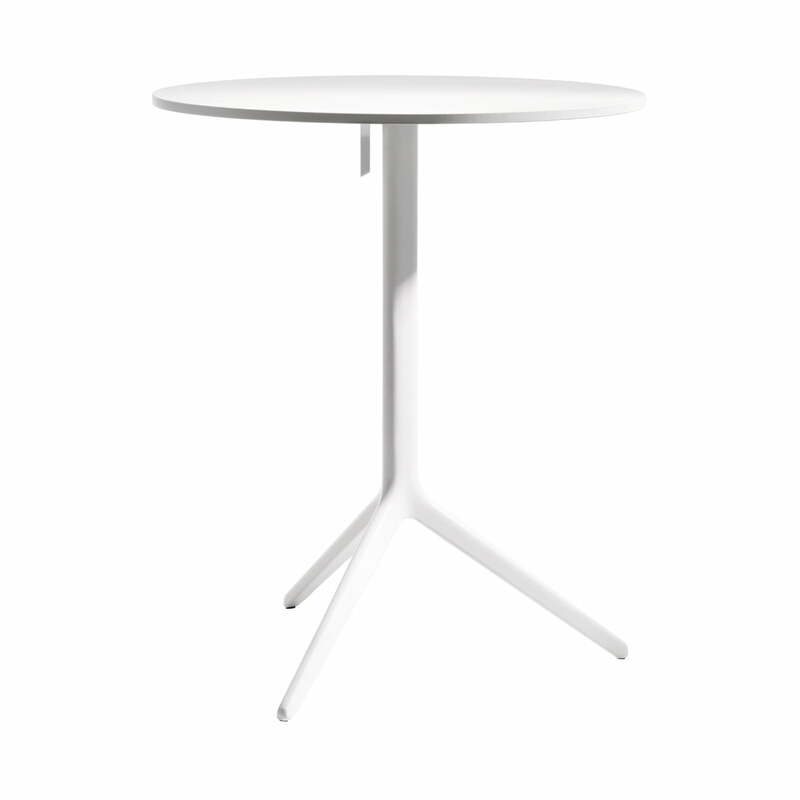 Because of the assortment of the feet, the Central table resists everything stably and safely. The table top can be folded by a simple mechanism, but also carries heavy weights when it is unfold. With its aluminium frame and a HPL-laminate table board, Central is suitable for indoor and outdoor use. 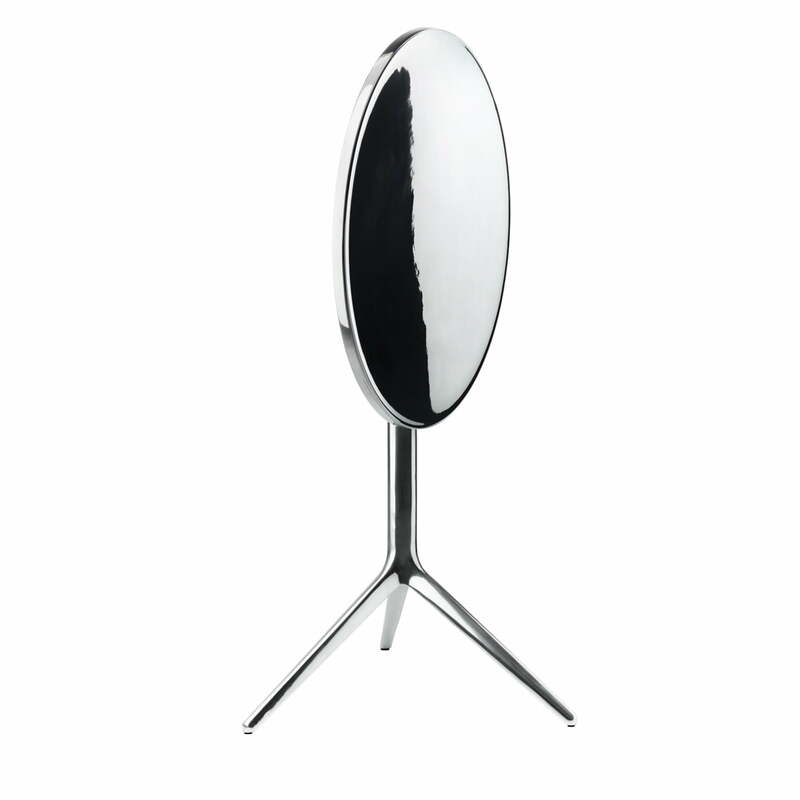 Magis offers the bistro table in a round and square edition.